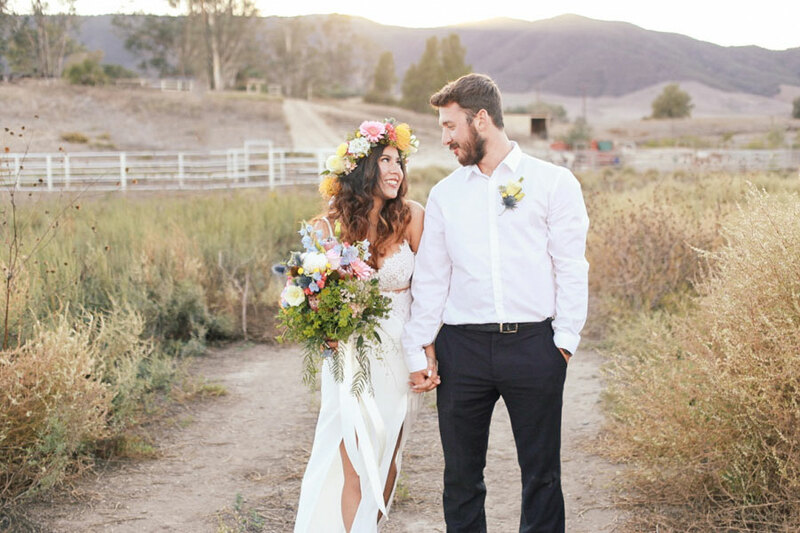 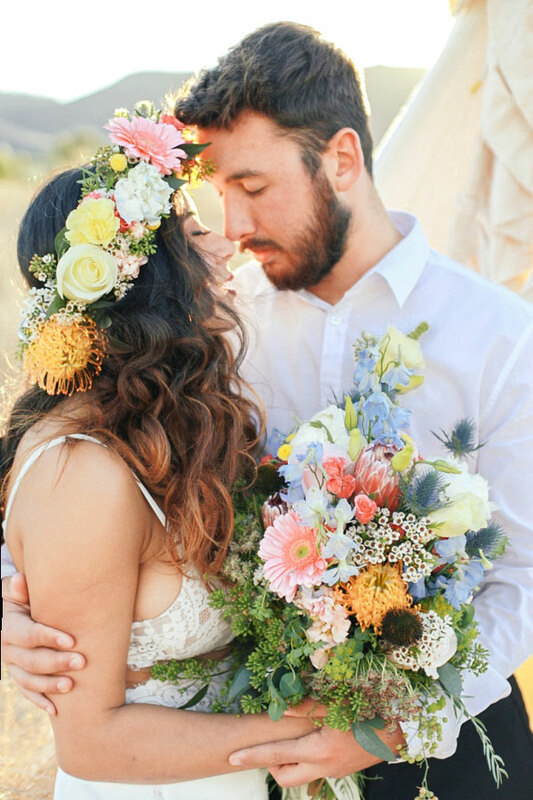 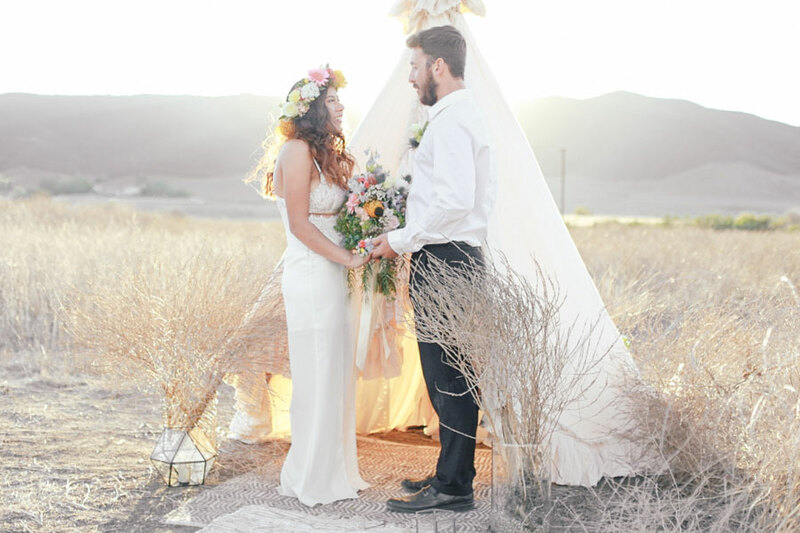 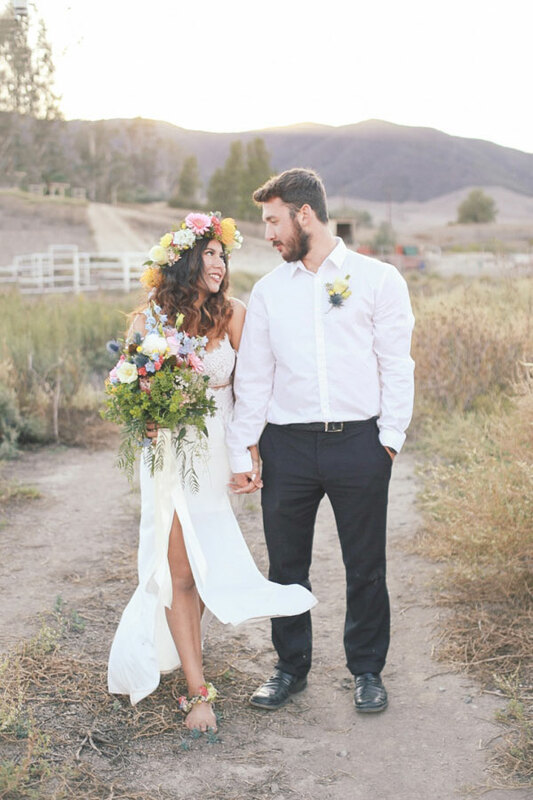 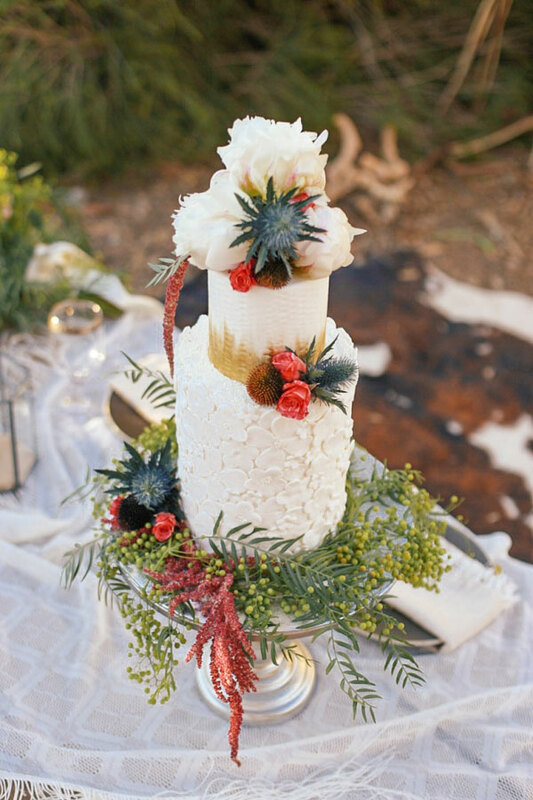 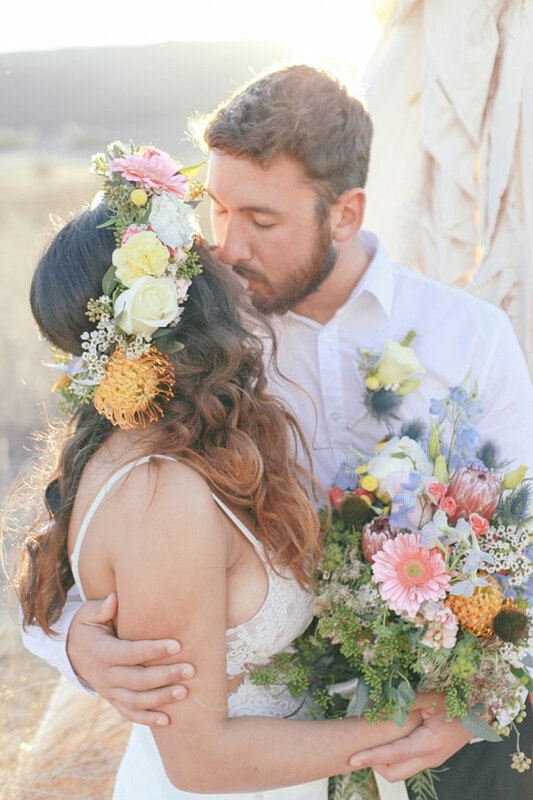 Snuggled away at the Murrieta Wine Field is today’s sweet little styled bohemian wedding with a whimsical flair from California wedding photographer Elle Lily Photography. 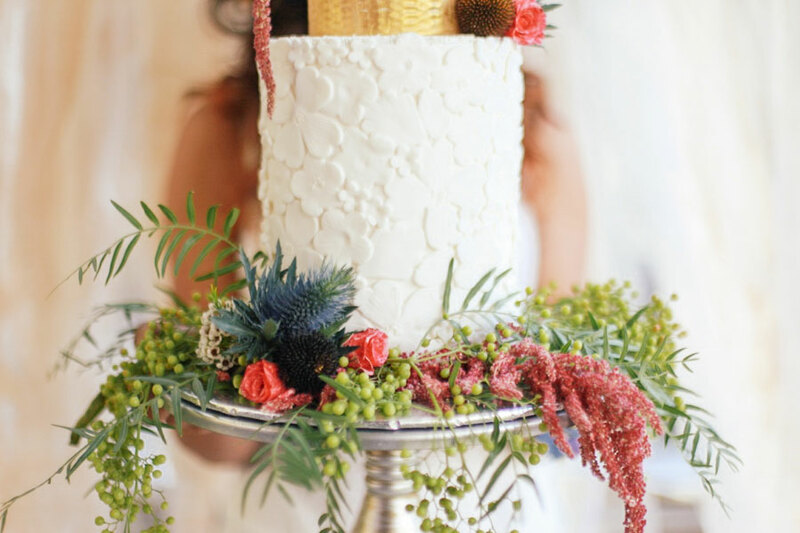 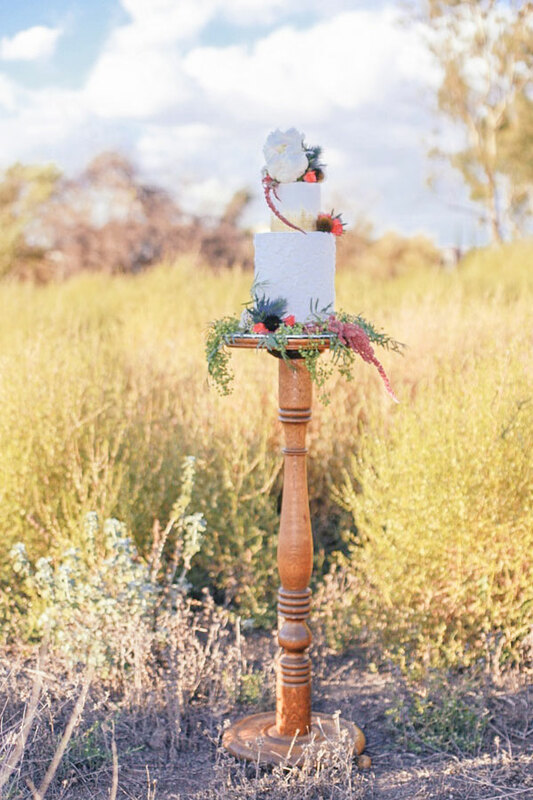 From a wedding decor standpoint there is a lot to love. 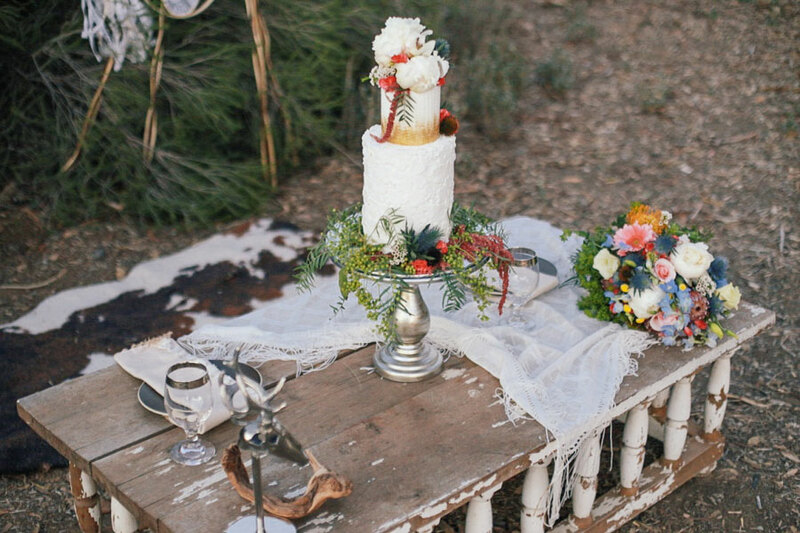 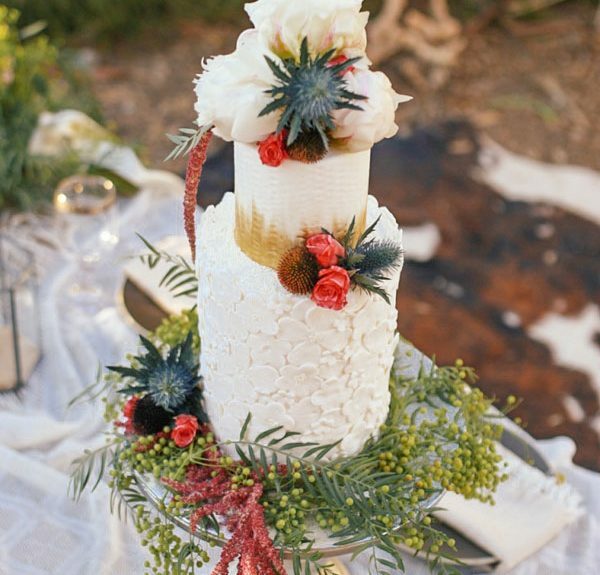 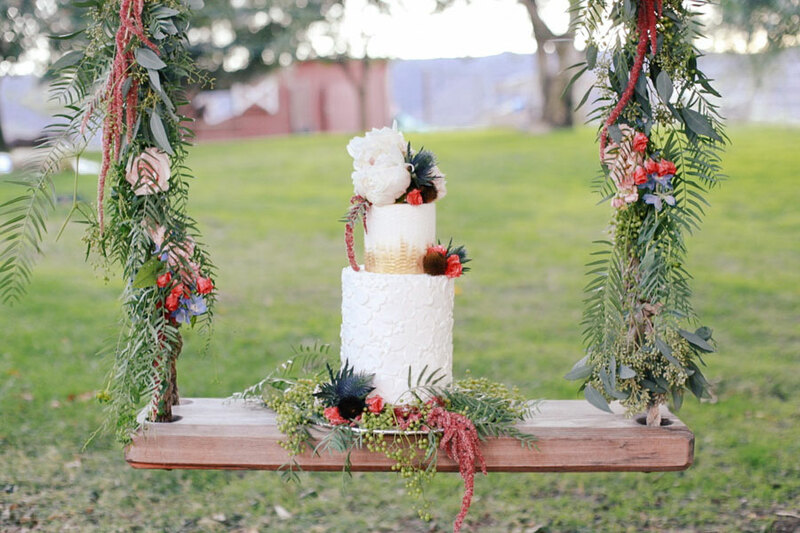 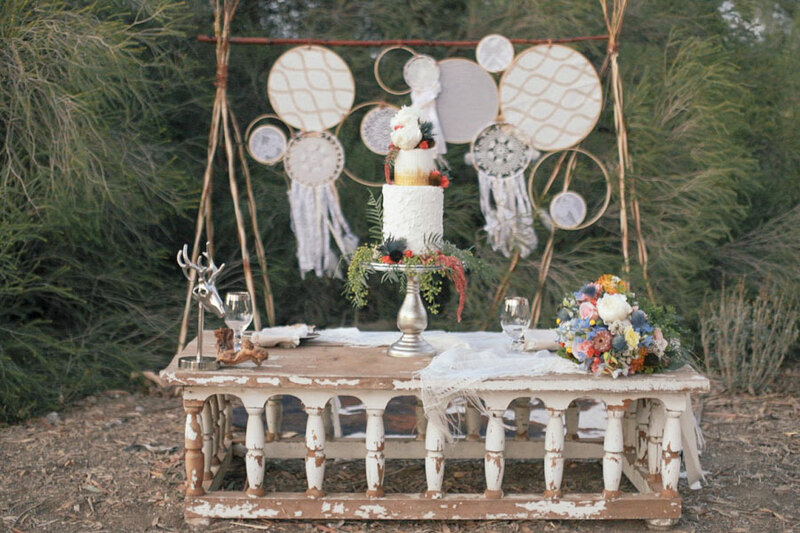 From a swaying wood swing to the vintage coffee table dessert display complete with skeleton tepee backdrop accented by lace filled knitting rings. 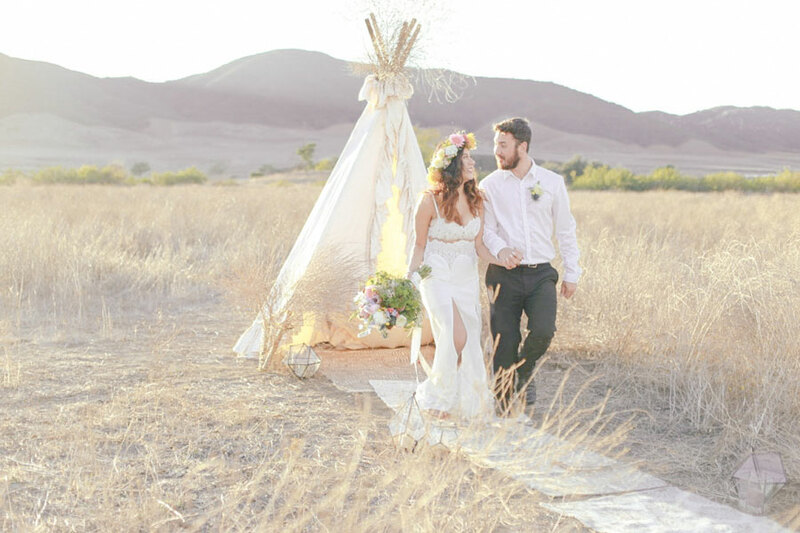 My favorite piece however is the tepee set in the middle of the field, accented by just a simple rug and terrarium. 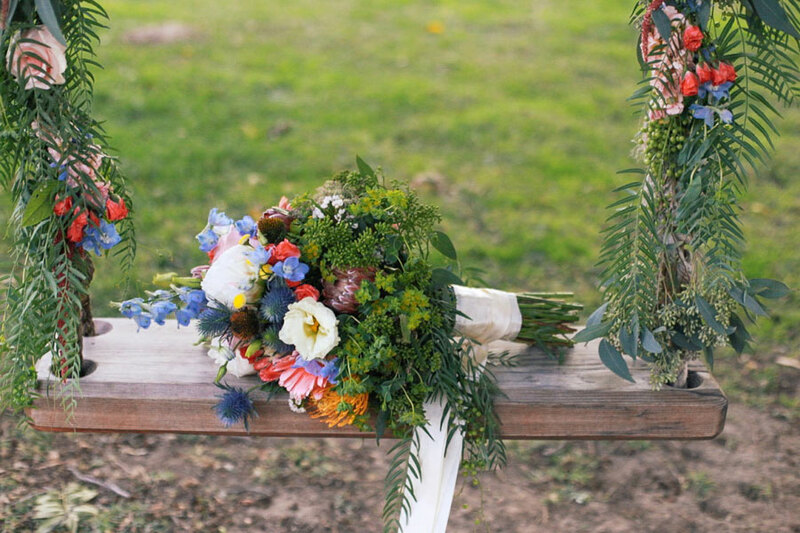 There is a real romantic beauty to such a striped down ceremony set up! 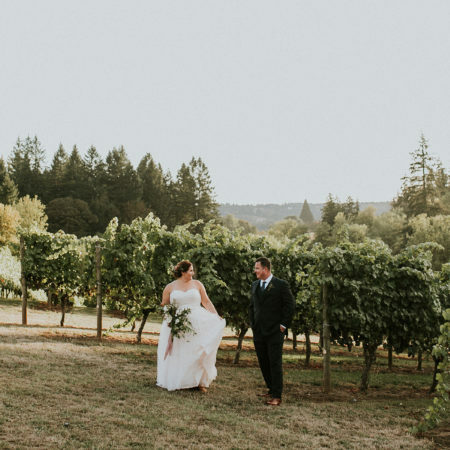 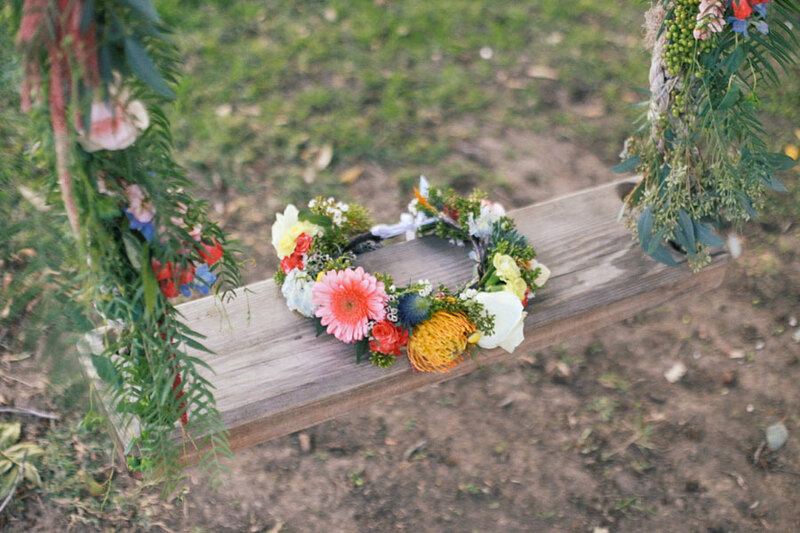 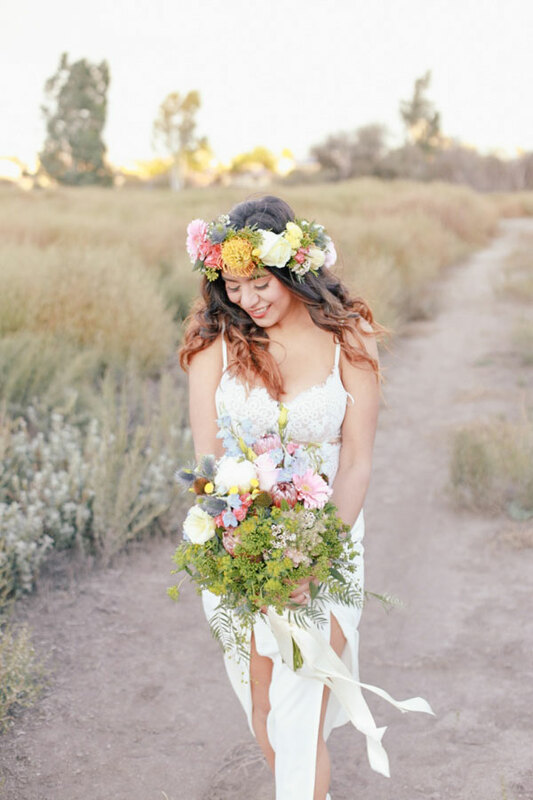 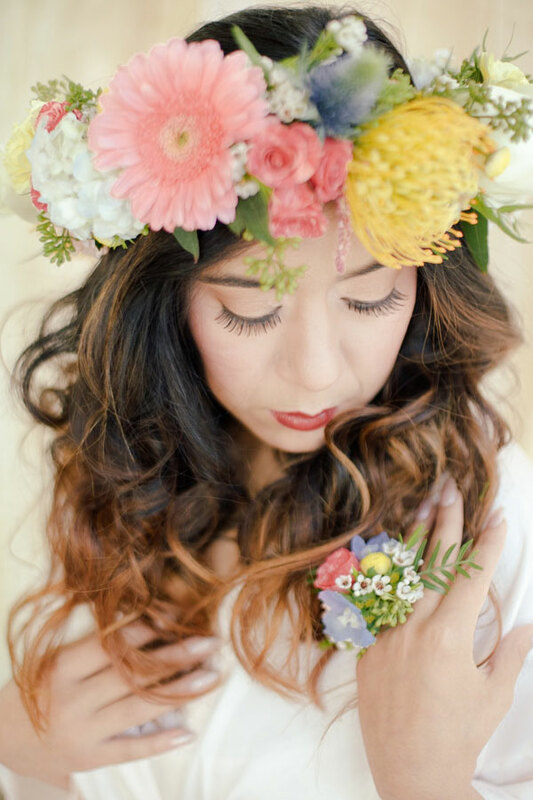 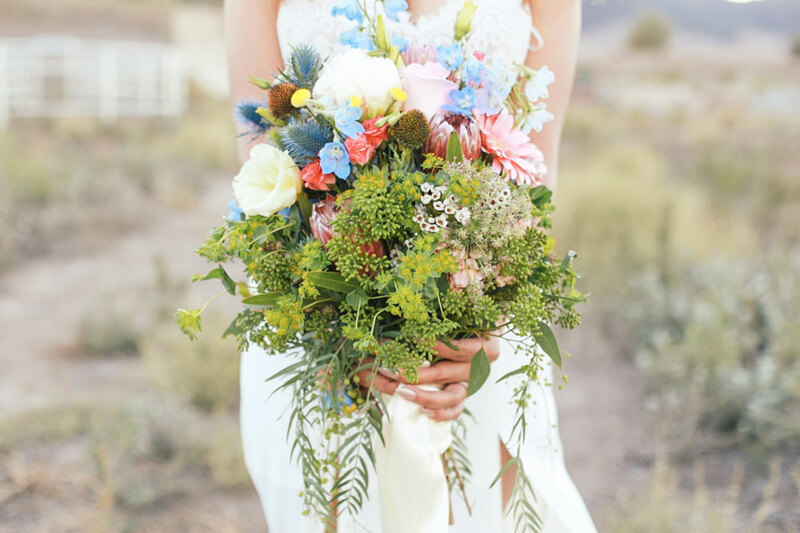 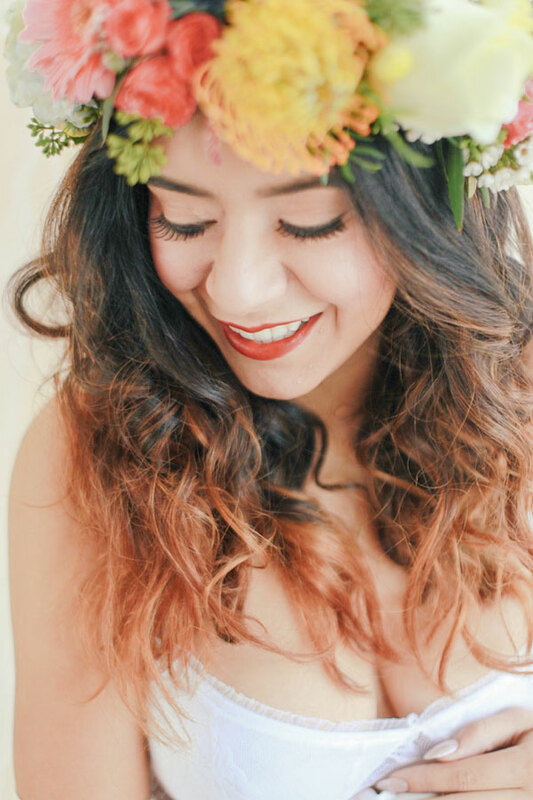 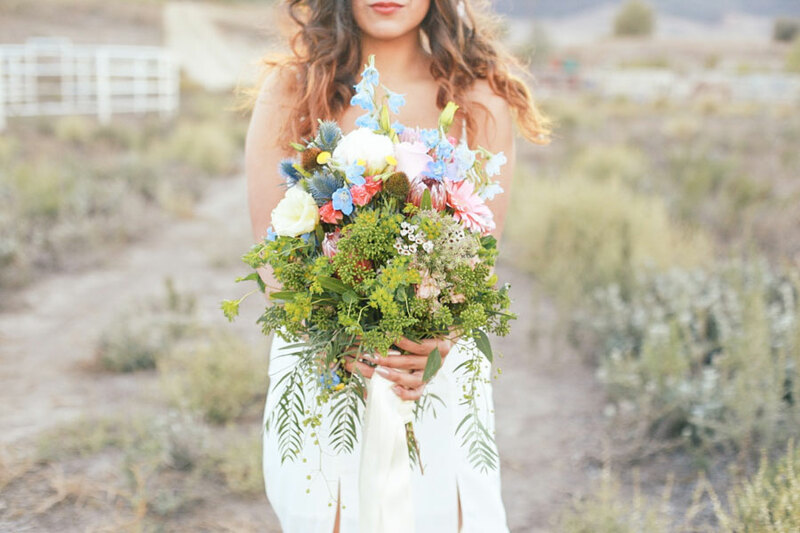 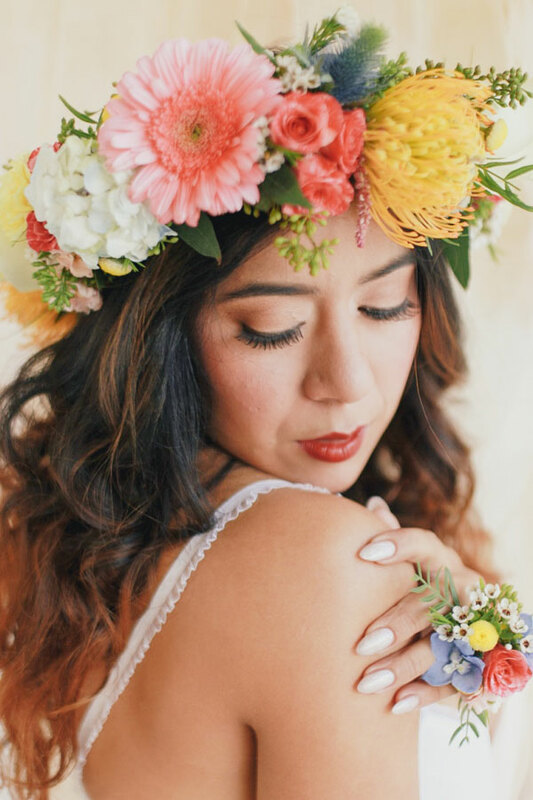 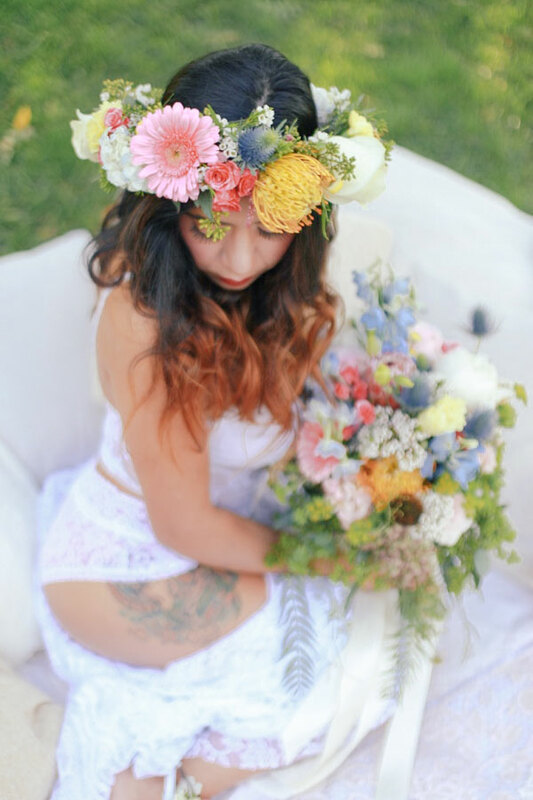 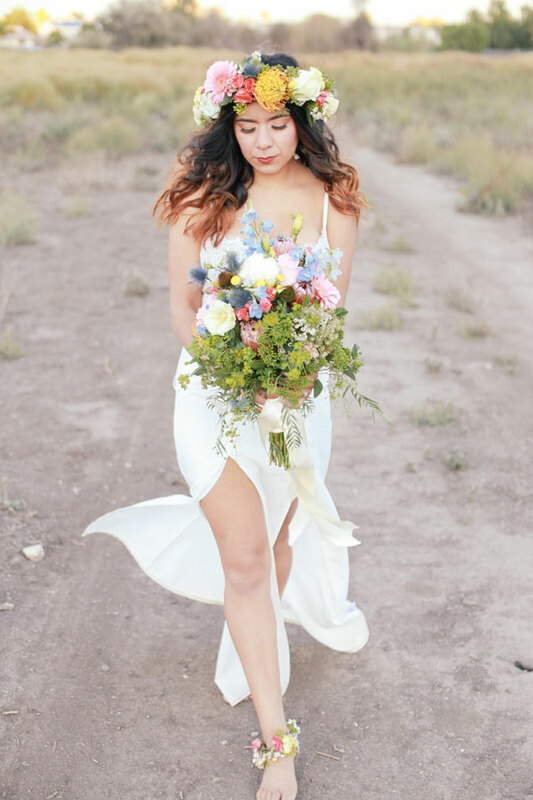 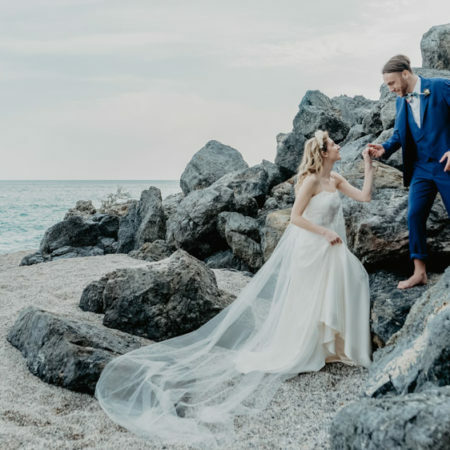 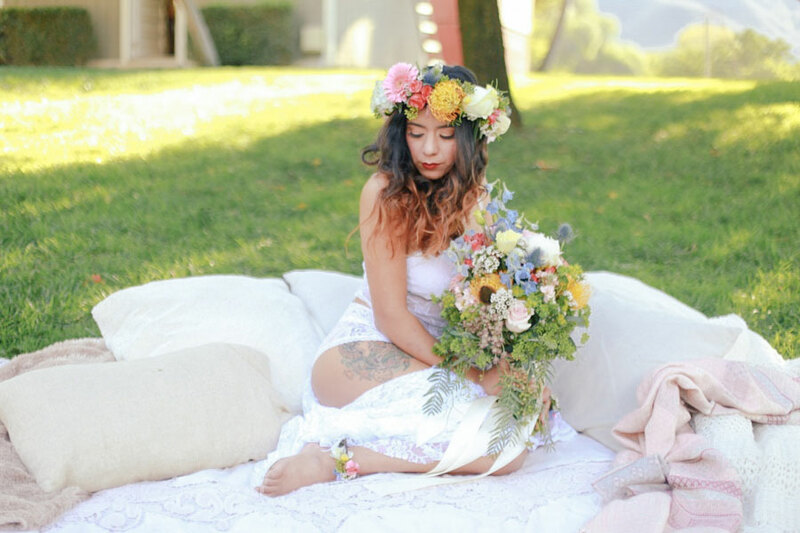 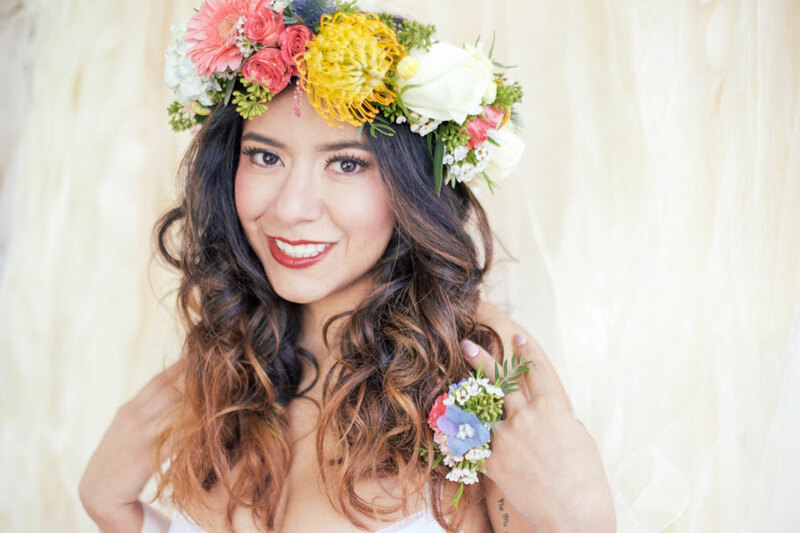 The rest of the boho spirit is filled by flowing fashion choices and heavy floral crowns that make no mistake that our bride is a flower child. 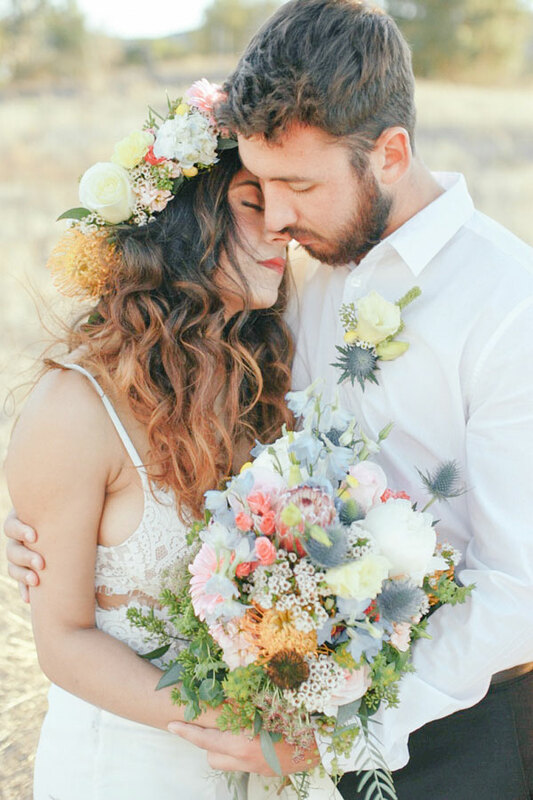 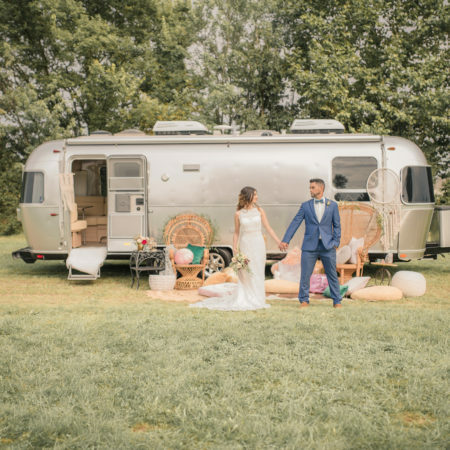 I love the simple free spirit to today’s bohemian wedding, something that is styled yet all the while low fuss seeming, a beautiful mix dont you think?